I saw this image when I was a kid. 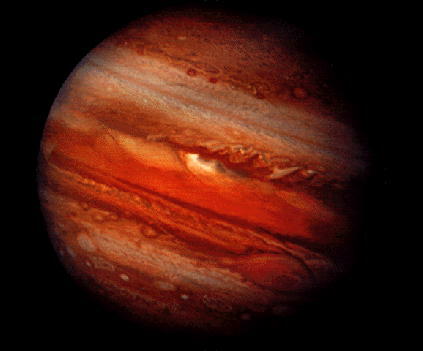 The photograph of Jupiter taken by NASAs Voyager. Beautiful. But nothing special until shown in rapid succession. Suddenly Jupiter was alive. Breathing. I was hypnotized. The title of this post was inspired by a visionary movie called Another Earth (2011) . In this particular scene which is the intro to the movie, Rhoda Williams is stating the sense of awe and wonder she felt when viewing pictures of Jupiter from NASA’s Voyager satellite which took a succession of Photographs of Jupiter. It’s an odd introduction to use for a piece on revisiting the potent archetype of Apocalypse, that said it will make a kind of strange sense when all is disclosed. 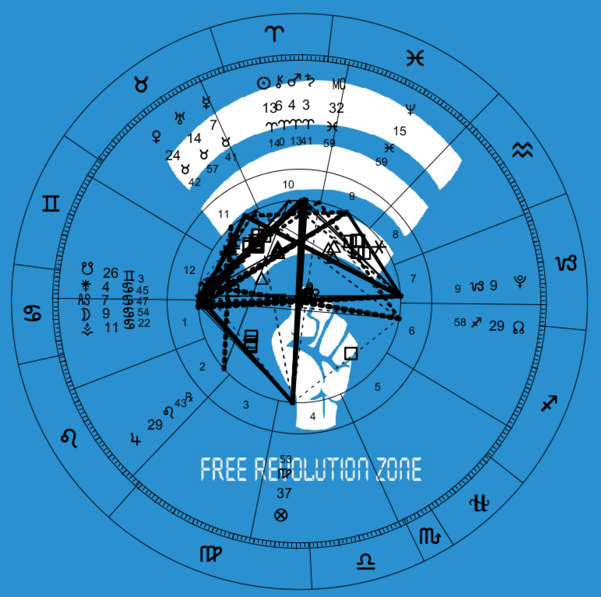 Jupiter in Astrology is understood to symbolize the propensity for ambitious speculations and for seeing the global perspective and it is hence why the article references this symbol. It is also the cipher that can refer to optimism and to a fearless embrace of the future, and too far reaching imaginings. The ancient Greeks understood apocalypse to be the revealing of an occultation. That is to say it was the exposure of something that remained hidden a disclosure of knowledge, most in our culture have the biblical version that starts on the hill of Megeddo in Israel and signifies the end of the world and its total destruction preceded by a rapture in which the souls of the elect are gathered into heaven. The more secular version of this story is one that involves total destruction for which the survivors never recover from. Hollywood does a very good job of depicting many of these disasters with its summer block busters, showing mega-quakes that unzip the Pacific coast and turn it into a swath of death and destruction, movies about malevolent technological agents that wipe humanity out when it realizes that we are a threat, or the emergence of a novel pathogen that wipes out a good number of the global population. These are all examples of the powerful archetype of apocalypse. It is an obsession that has gone from a rather benign revealing of hidden knowledge to an outright malignant and terrifying vision of total annihilation. This is however a very disingenuous way to perceive and manifest this potent symbol-set and like all archetypal cyphers becomes self-fulfilling prophecy in short order. Apocalypse is far too easy, it is not much of a stretch to default to the Thanatosian desire to be the last generation on Earth, to have no future because it spares us from having to do the hard work of building a viable future and also to deal with reality instead of a dark fantasy that the religious imagination has always courted. That more secular institutions have begun to is telling that this archetype has reached terminal velocity and is sending us in a direction we may not want to ingress into, that we are on the expressway to a confrontation with reality is indicative that we have let this logic go too far into inaction, apathy, and defeat. To understand the nature of the beast it helps to deconstruct what apocalypse actually is. According to i09 (and literature) there are three forms of apocalypse. Hard apocalypse: The current phase of civilization is completely collapses due to a hyper-violent event, whether it is a natural disaster that destroys a large segment of the population, a catastrophic change in environmental conditions that wipes out the vast majority of people, or an engineered disaster, and sometimes a confluence of all of these scenarios. These are the scenarios that are depicted in the Bible’s Book of Revelations, and dealt with in Cormac McCarthy’s novel The Road. The destruction is usually so complete that the society never recovers its former complexity. Historically this has happened before to humanity, though luckily in the first instance the species ultimately recovered, although there is a strong contention that this event did not have the far reaching consequences as claimed and may in fact have been part of a longer bottleneck period. The Toba Bottleneck is one such instance of natural disaster nearly wiping out the human species. Approximately 75,000 years ago the super-volcano located on Toba on the island of Indonesia, erupted causing an environmental climatic cooling which may have triggered a die-off of then emerging human population to a significantly scantier number. Ultimately the species was able to re-coop lost ground and our numbers ultimately expanded, and as proof we are here today in very robust numbers. It is interesting to note that we are currently engineering our environment in such a way that we could become the harbingers of a catastrophic change in climate that could cause similar circumstances to emerge. The other more potent historical example was the settling of the “New World” in the late 1400’s. It would be this ultimate period that would establish the United States as a country, a new civilization to be sure, built on the apocalyptic destruction of countless predecessors (the Cahokia Mound-Builders of the Mississipian culture, the Saalish of coastal Washington and southwestern British Columbia, and many more). By the time of Spanish conquest to the beginnings of the slave trade, the Native population of North America went from 12 million (estimated, the figures suggest these numbers were far greater), and ultimately decimated to 237,000. Largely due to imported disease both accidental and deliberate, genocidal policy, the establishment of the reservation system and the ecological disruption of European colonists. In essence the United States was the result of a hard apocalypse. This form is harder to identify as humanity has gone down this path before. The fall of the Roman Empire could be said to have been a soft apocalypse, as it was a gradual decline that descended into a dark ages (marked by the ascendancy of Christianity, the loss of pagan culture, demographic and economic decline and the Black Plague) lasting eight centuries before Europe reached the Renaissance, starting in Italy in the 1400’s. Humanity has been down this road before and while we ultimately recover from it, it is not without a great deal of torment, violence, and intellectual decline.Whats more is that we are currently on track with Climate Change to possibly end up here once again if we fail to navigate this passage and not mitigate the worst of the transition, consider this a kind of wake up call. Marvelous Apocalypse: The current phase of civilization lapses and is ultimately substituted by something vastly improved. In our times this could take many forms. A debt jubilee reminiscent of older civilizations in which all public and private debt is wiped out and the economy starts a new freeing people from the shackles of endless debts, that in our time enslaves many of us to a social order that we would never imagine coming close to desirable (The alienation in late Capitalism is apparent and hard to ignore as is the economic slavery that almost the entire population, even those who are well-heeled, must contend with, it also is largely incompatible with most forms of democracy). The USA network series Mr. Robot, actually depicts this very possibility. In it the protagonist Elliot and anti-social computer programmer works as a cybersecurity engineer by day and a vigilante hacker by night. Elliot is eventually recruited by the enigmatic forerunner of an underground hacker collective devoted to undermining Corporate America. Elliot tackles the moral dilemmas that he feels throughout the series, vacillated between the reality that he is hired by a multi-national corporation and at the same cannot resist the instinct for justice borne deep in his character that entreats him to understand that it is these multi-national corps that are commanding and ultimately destroying the world. In the first season it is revealed that this hacker underground has found a way to use corporate technology against them. It turns out that the company Elliot works for owns 70% of the world’s debt and if the hackers can destroy the company servers it would wipe the debt record clean ushering in a civilization wide debt-jubilee, and the most colossal wealth-redistribution episode in human history. Another literary example are the Ernest Callenbach novels Ecotopia, and Ecotopia Emerging. The two novels written five years apart depict the emergence of a new eco-technic civilization after Oregon, Washington and Northern California secede from the United States, in an insurrectionary civil war that lasts a very brief period. The borders into Ecotopia are sealed off from the rest of the continental United States and vigorously defended from outside intrusion, this state of affairs allows a vastly superior ecologically guided civilization to emerge in its place. William Weston the protagonist of the first novel is an investigative journalist who is given unique access to explore Ecotopia for a period of months and reports back on the culture on the ground. The follow-up novel is a prequel that discusses the political and social environment that gave rise to Ecotopia. Along similar lines Starhawks The Fifth Sacred Thing, also explores a similar ecotopia theme to the Callenbach novels but sets the date of the insurrection further into the future at 2028, even though the story unfolds in the year 2048, and built on a few different principles than the Ecotopia series. What is telling is that both juxtapose a utopia in process against a dystopian decline for adjacent societies and contrast through out the novels. Ecotopia is not a true utopia, as it does not exist in a perfected state but is one based instead on emergence, a society guided by intentions and motivations that are in-process (far more reflective of how reality operates, a work in progress as opposed to a perfected state). This is illustrative of the Jupiterian consciousness that was depicted at the beginning of this article. Interesting to note that in the chart in the articles intro Virgo sits at the Mid-heaven, elevated, so it would seem that the apocalypse in discussion ultimately leads to a society that is more sensitive to ecological principles. There is a certain amount of importance that can be placed on these terrifying visions of annihilation because they do expose to us that calamity can happen and that we could easily engineer a dystopian nightmare if we do not carefully navigate our encounter with the realities of our planet and it could end very poorly for us. At some point however it has to be acknowledged that it is ultimately far too limiting and allows us to default to despair an intellectually careless alternative. As Carl Sagan said in Pale Blue Dot, “Dreams are Maps” and ultimately the dreams we end up bequeathing to generations will in short order become experienced realities. This then becomes the impetus to develop a realized eschatology and to begin to craft visions that activate the “better angels of our nature”, we require more just and viable optics to guide the crafting of a truly sustainable civilization and one that reflects the best we are capable of. 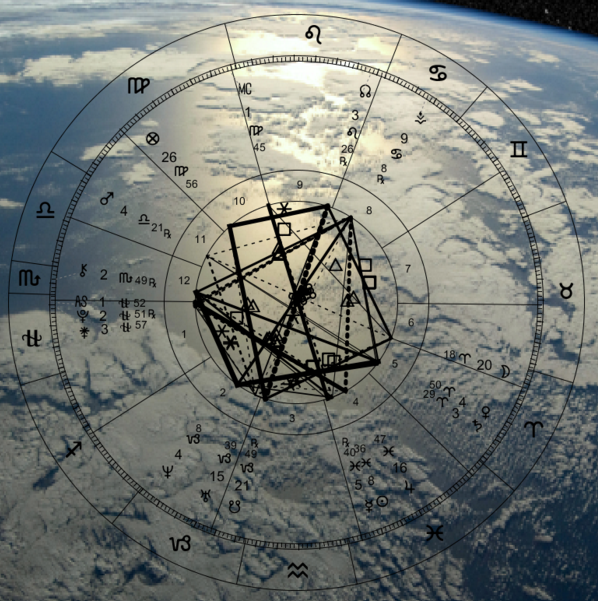 To this end our collective focus must be on engineering the path to our apotheosis that it will require a course correction, a radical departure from the current trajectory is beyond argument, this is in essence what is meant by Jupiterian thinking. It is the sense that a vision can be vast, far –reaching and ultimately deeply optimistic even as it contends with the harder edges of reality. Apocalypse does not by default have to translate into collapse or decline into dystopia, fascism, or some other dismal alternative, it can lead to Jupiterian possibility (this sentence for some reason makes me think of human colonies on the moons of Jupiter in some deeper future scenario, perhaps after we have explored the closest star to us Alpha Centauri). There are multiple examples both fictional and real (odd how science fiction seems to eventually translate to science fact). Types of positive apocalypse include the singularity (the point at which technology exceeds human intellectual capacity, although this has to be carefully navigated as it could easily slip into the other kinds of apocalypse), a voluntary restructructuring of scoiety born of inequality, and many other examples that we are now contending with. It would seem it is all a matter of collective choice and the desire of humanity to reach apotheosis or extinction, it s here we confront our creative urges balanced by our tendency towards self-destruction. The world we have inherited is not the world that can continue if we truly desire what it is we say we do as a species, to this end a certain apocalypse is necessary one in which the current phase of world-building winds down and is replaced by something patently better. It will mean a reversal of current power structures, a new set of collective values more reflective of justice and ecological wisdom, and a re-imagining of our social arrangements. In this the burgeoning age of Aquarius, as we are faced with the paradox of being at a cross-roads for our species where we are choosing between extinction or apotheosis, the requirement to stare into the abyss of our abysmal nightmares and see them for what they are is essential. That we must also deconstruct them and re-imagine the possible towards the end of averting these disasters, and creating the “good” world is part of the territory. That we could do it with a sense of awe, wonder, humility, and an understanding of how massive the undertaking actually is, it might turn out to be as auspicious as the first time we saw Jupiter.